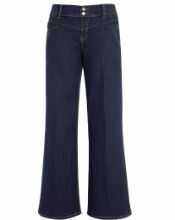 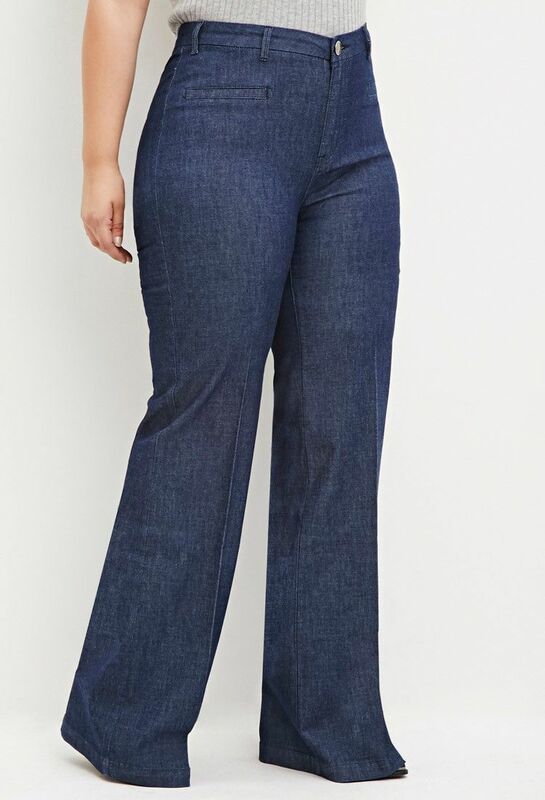 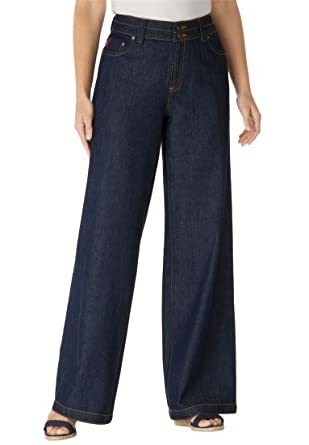 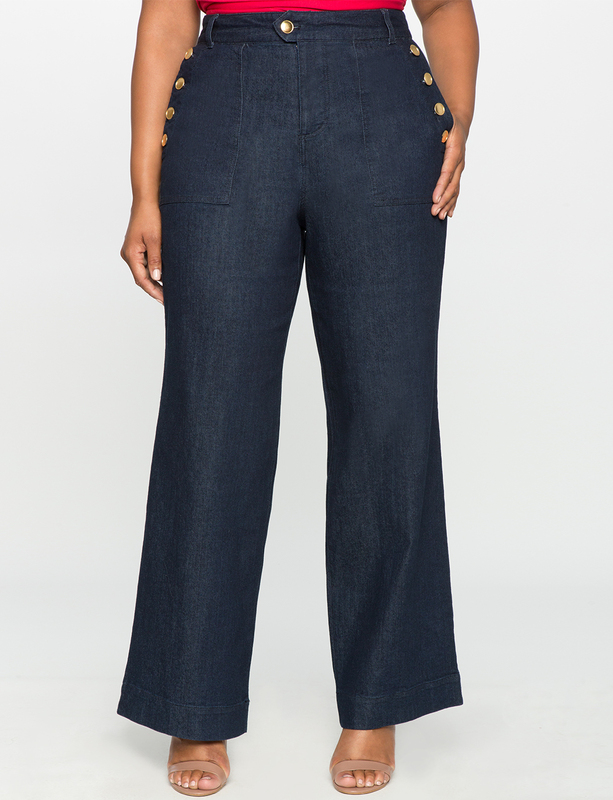 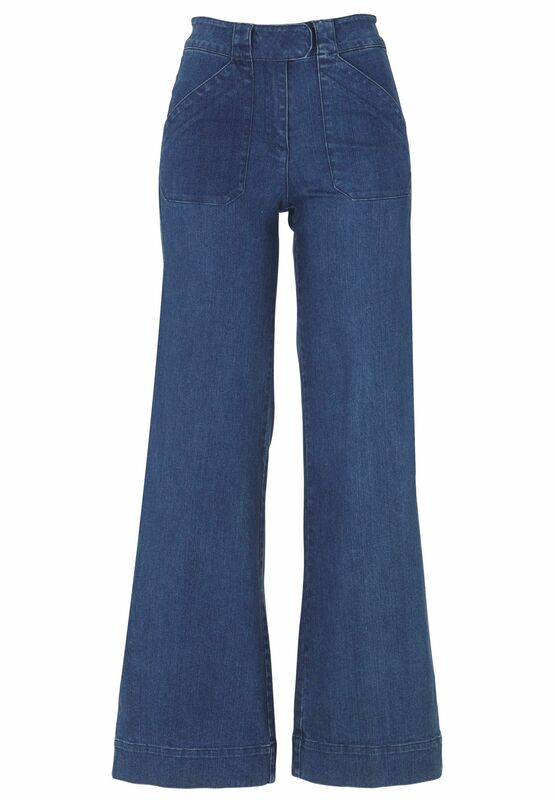 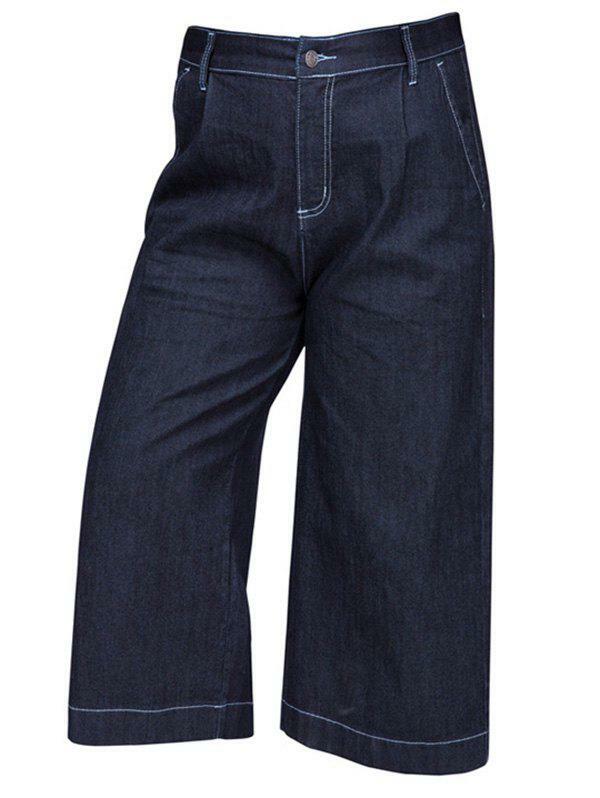 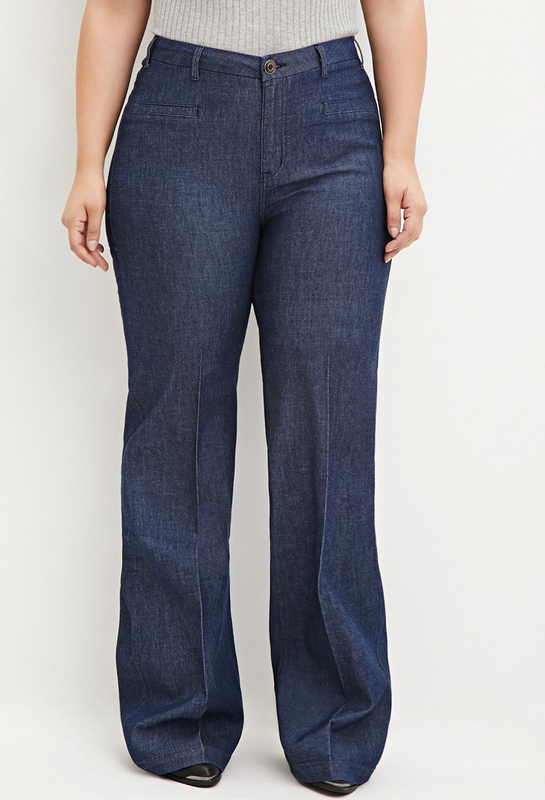 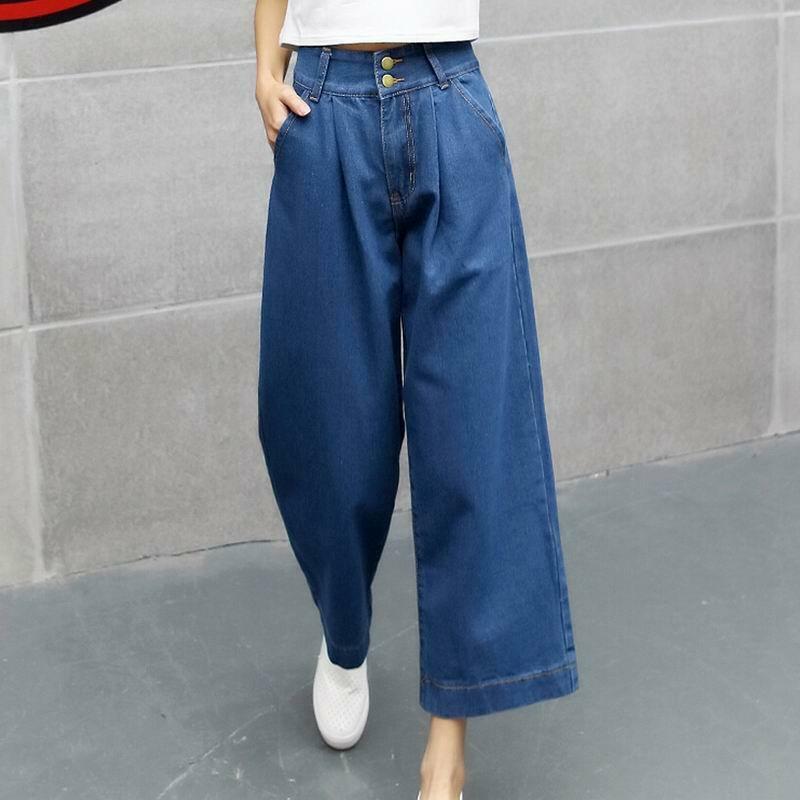 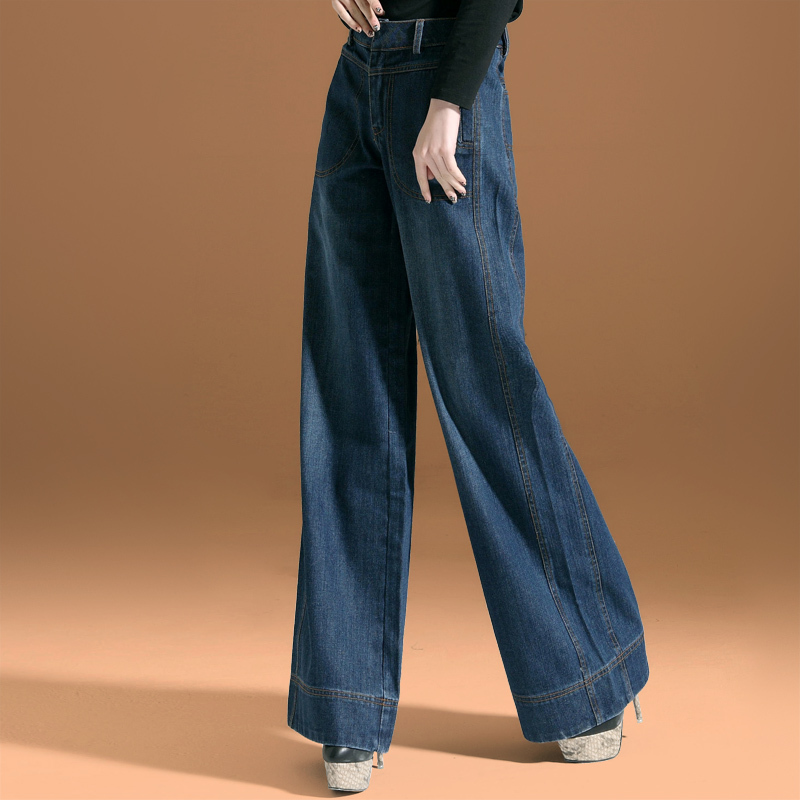 Stretch high-waisted, slightly flared wide leg jeans have a tab front waistband with zip fly. 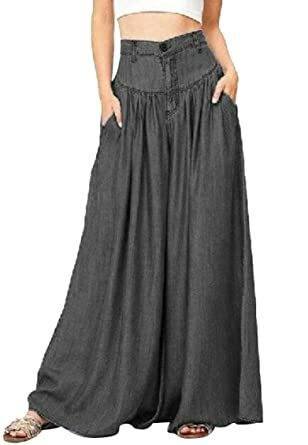 2 front pockets and 2 back besom pockets. Cuffed legs.